Remember how I commented that as cheesy as it may sound, I felt like Lucy was, in a way, communicating with me? Vic entirely agrees. Thus, he feels these "thimble kiss" letters are sacred. So while I won't share the letters in their entirety (Ok, fine, since we've moved I can't find where I put all the letters.) BUT.. here are the remaining kisses from my Lucy girl and a brief explanation of each one. 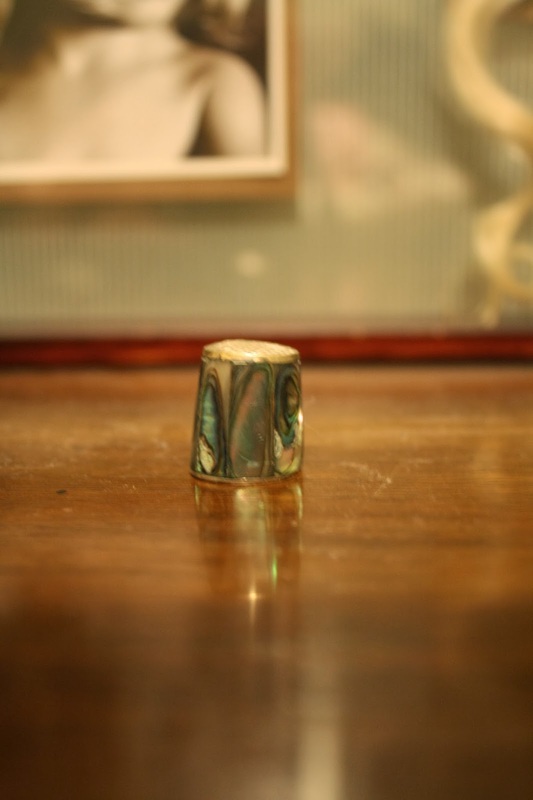 Above is the original thimble given to me at Lucy's 2nd birthday party that I mentioned in my first post. And it has a compass on the top! This one is made of olive wood from Jerusalem. I love this one. It's from a blog reader-turned-friend, Becca Jeppson. She got it at an antique shop. This one speaks for itself. Vic gave it to me the Christmas after Lucy died. This sweet thimble, with two girls, Vic gave to me when we found out we were having another baby girl and Lucy would be getting a sister. This pewter one is from This is the Place Heritage Park. During Lucy's stay at Primary Children's Hospital, we stayed at a friend's home right across from the beautiful park. The day after taking her off life support, we walked the grounds of that park with my siblings. I remember being wrapped in a blanket. We go there every Christmas now for their "Candlelight Christmas". It's a special place for our family. Vic gave me this hand carved, hand painted kiss when my parents left for their first mission to Russia. He gave them one as well (slightly different) that they keep on their desk at their mission office, reminding them of Lucy. 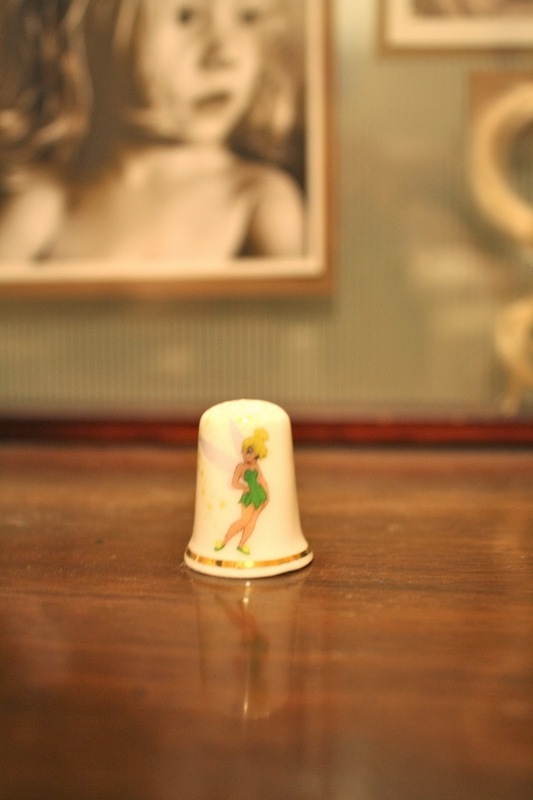 This Peter Pan thimble was gifted to me the same Christmas as the Tinkerbell one. 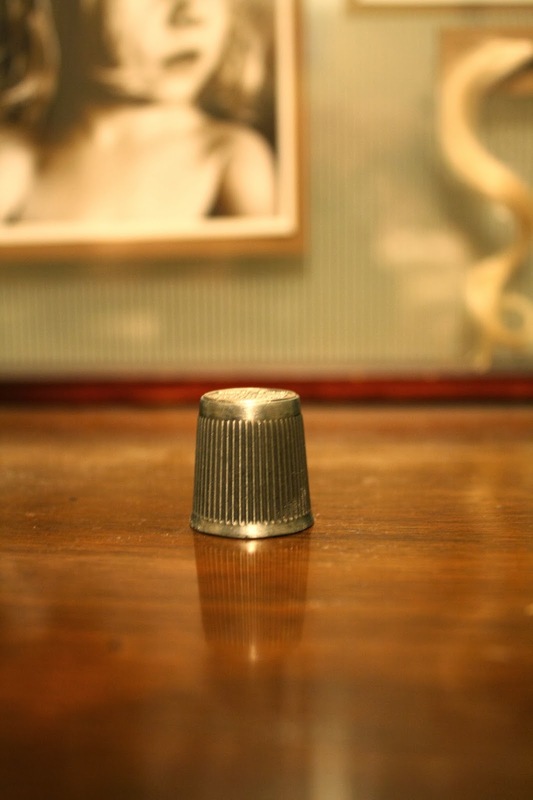 We bought this thimble in Cancun, Mexico while I was pregnant with Peter. 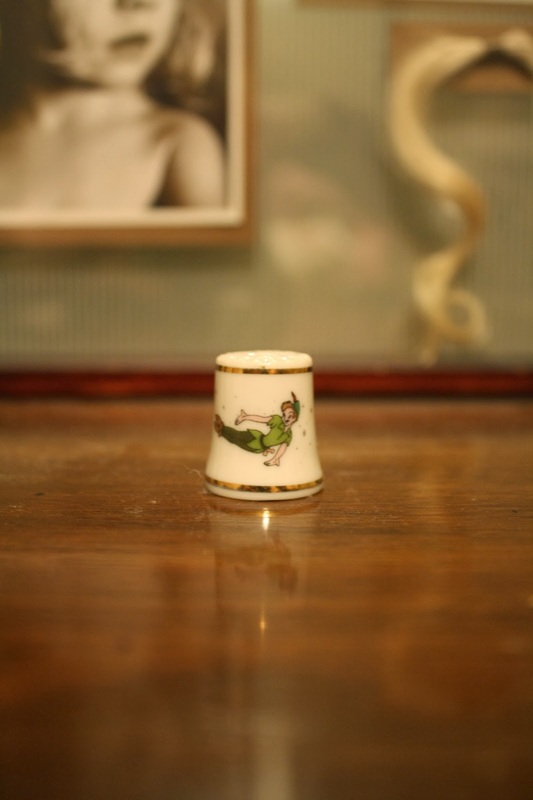 Again, I would never be collecting thimbles if it weren't for the Peter Pan/Wendy/kiss/Lucy thing. It's just not my jam. BUT... I love what it means to us. 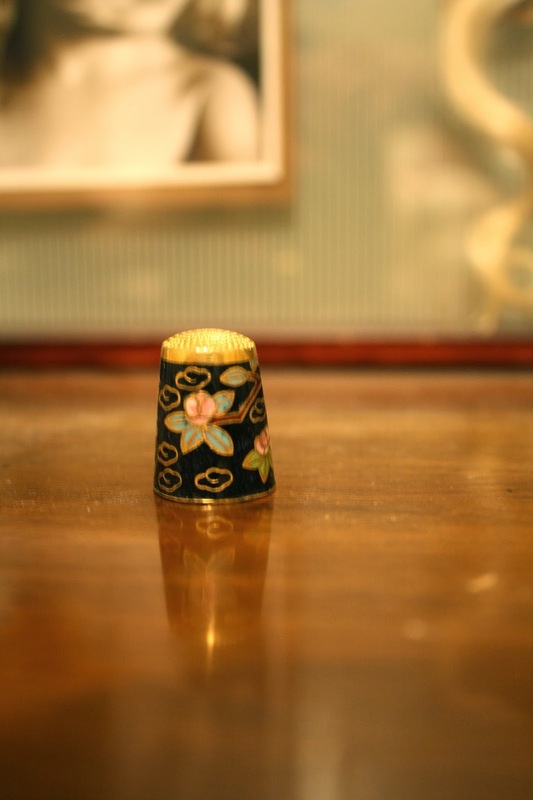 Each and every one of the thimbles is so beautiful and meaningful. I think she kisses your cheek more than you realize. In my life it is hummingbirds. My darling husband was on Long Term Disability (with his state job) because of his health. He would sit outside and watch those silly birds almost daily. The birds would fly right into his shop or the garage to see what he was doing. One day, he put his arm out and one of them landed on his finger. After his grave dedication, my son was sitting on a chair in front of his dad's casket....lost in his thoughts....when a hummingbird flew by to eat from the beautiful flowers. It went to each flower one by one. My son said that it was his dad reminding us that he is still around, still watching over us. I think your beautiful girl does the same...she watches over you and is more than aware of your life and mostly your love for her. Thanks for sharing your always wise and beautiful self and your words. 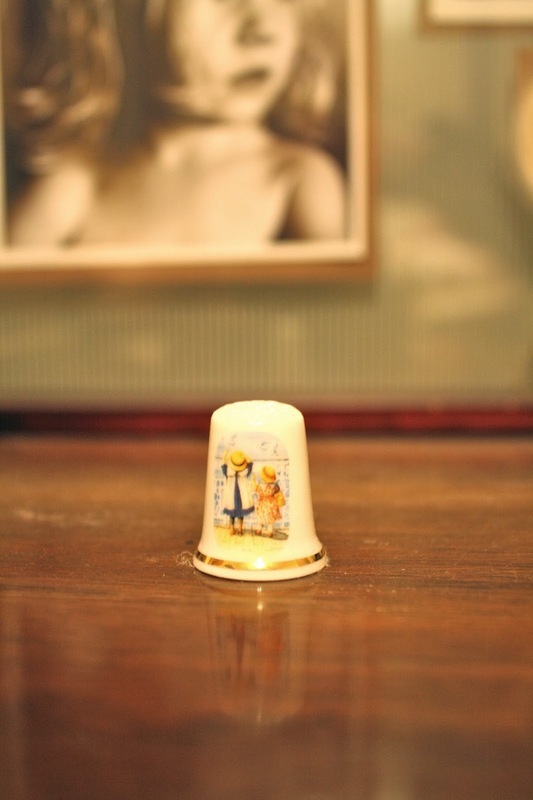 I sent you the thimble with the lighthouse and compass on top. I knew when I saw it, that I needed to send it to you. :) I love your blog and still read every entry, although I rarely comment anymore. Thank you for your honesty and your inspiring words! Jennie G.
😘 You are amazing. Interesting how different yet beautiful they all are! is there a husband of the century award? VIC! my lanta. the russian one? for realz? love seeing all these.